Modern lifestyles have pushed blood pressure higher worldwide. The rice-based diets of Japan, Indonesia and Taiwan are being influenced by Western dietary habits that have increased the prevalence of related diseases such as high blood pressure. Establishing optimal rice-based diets and investigating how to lower blood pressure using education, diet and lifestyle habits have become important topics in Asian countries. Director Suh-Ching Yang of TMU’s Geriatric Nutrition Research Center became part of the research team at Tohoku University in 2017 to study development of rice bran processed foods and evaluate their health benefits, particularly their effects on blood pressure. The Ministry of Education approved a research grant for this work in January. 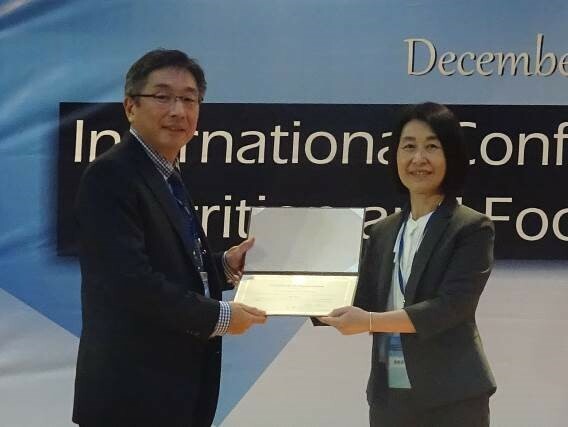 Associate Professor Hitoshi Shirakawa of Tohoku University, seen here with Director Suh-Ching Yang, was the keynote speaker at the partner universities’ recent international conference. Tohoku University and School of Nutrition and Health Sciences have maintained close academic exchanges for four years. 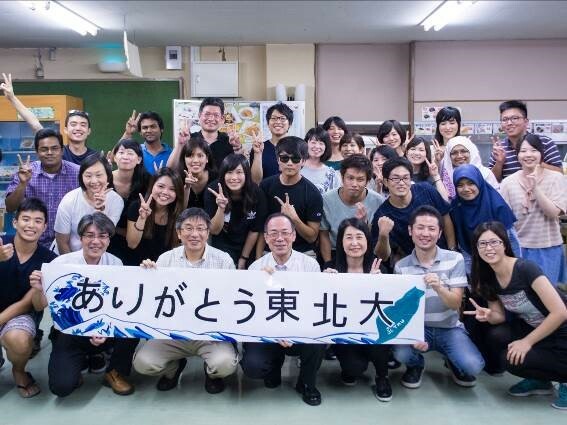 Since the school was established in August 2016, Tohoku University also welcomed TMU students to participate in their Japan-Asia Youth Exchange Program in Science. This program helps students experience academic exchange activities and broaden their global horizons. This international research cooperation seeks to improve health using rice bran processed foods to reduce prevalence of high blood pressure and other lifestyle-related diseases.